Thank you for the excellent job your company did replacing the shingles and skylights in our complex. It was a big project for our complex and your company completed the task in a very efficient manner with virtually no disruption to the everyday life. The board received many compliments on how polite and accommodating all of your staff performed and on the quality of your workmanship. We feel that we must comment on the superb job that was done with the follow up work on the inside of all the units. The board received nothing but compliments. Please accept our thanks and feel free to use our complex as a reference on future jobs on which your company is quoting. I wanted to take this opportunity and say thank you for a wonderful job the Hamblet’s team did on my roof renovation project! Not only were they punctual and polite, they were very professional throughout the renovation project. Each time the roofing team left they cleaned everything spotless! My driveway has never been so clean! Please know that their customers appreciate the Hamblet’s roofing team. From our first contact with Hamblet’s on the Internet, their professionalism was evident. Not only did we receive a quick response, but even after the initial inquiry, we were in direct dialogue with Joe and the interaction began. We did receive a few other quotes and some were even lower in price, however, we did not have the same feeling of professional attitude and confidence we felt with Hamblet’s and so we chose their team. When we added a couple of extra requests, they were dealt with in a fair and equitable manner to our satisfaction. We were always informed of the project’s schedule and what to expect each day. Each of Hamblet’s roofing and siding crews were on time, worked hard and were very respectful of our property and left the project well done with the surrounding yard clean and tidy. We were very impressed with the professionalism and quality of workmanship Hamblet’s displayed and recommend them without hesitation. - Elizabeth & Franco O. This message is in recognition of the excellent workmanship that was completed during our renovation. My wife and I are more than satisfied with the quality and efficiency of the work that the Hamblet’s renovation team conducted during the renovation project. Being a retired tradesman myself and someone who has be associated with qualified renovators for years, it was refreshing to finally meet and trust the expert team who came to our home to conduct precise renovations around the property. Hamblet’s renovation team not only carried out renovations to the exterior of our house but also the barn-shed at the back of our property as well. We would also like to recognize Hamblet’s roofing team who came to our home and completed the installation of our new roof. Hamblet’s roofing crew of five should all be congratulated for their workmanship and attention to detail. To all of the renovation crew and all those who work at Hamblet’s we thank you for being so attentive to the customer’s needs. The old expression “we’ve tried the rest now get the best” holds up here and my wife and I highly recommend calling Hamblet’s to assist with your renovations. Our thanks once again to Hamblet’s for a job well done. - Gerard & Kathy V.
Our firm has been dealing with Hamblet’s Roofing Siding Windows & Doors for a number of years and we have had very good results with the renovation projects that they have been involved in. One of the benefits about Hamblet’s is they are very prompt at following up with any issues that may arise and in many cases have gone beyond what is required in order to keep the customers happy. We look forward to a long association with Hamblet’s Roofing Siding Windows & Doors. 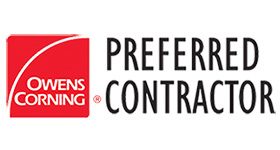 Hamblet’s Roofing Siding Windows & Doors has had a positive working relationship with ****** Properties Limited and ******* Property Management Ltd. for over two years. As a property management company, we have had the opportunity to work with other roofing and siding contractors, both large and small. However, I can say our experience with Hamblet’s has been very good. They have provided adequate professionals for the renovation projects conducted and have adhered to each project’s deadlines. They are a very good team player and proactive in their approach to each project. For these reasons, I would recommend Hamblet’s Roofing Siding Windows & Doors and would hire them for future renovation projects. The Hamblet’s team did an excellent job on our roof renovation. The price was fair, their work was excellent and the renovation was completed right on time. In addition, Hamblet’s team pointed out some potential problem areas in the roof that all the others who had quoted the renovation had missed. I would like to express my appreciation of the two very satisfactory renovations completed by Hamblet’s to our home. The first was an urgent roof replacement and was completed in one day just ahead of heavy rain by Hamblet’s large roofing crew who worked very late to complete the project. Their excellent workmanship and very competitive price led to the second job which was the residing of our home and the replacement of our eaves troughs. This too was an excellent job done by a renovation team who take great pride in their work. This is my personal recommendation for Hamblet’s Roofing Siding Windows & Doors. My wife and I were extremely satisfied with the renovation. Their estimate was competitive, the renovation project was completed quickly and their cleanup of our property was very thorough. 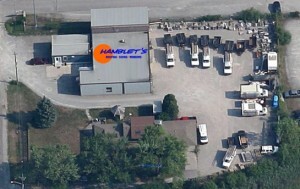 Of all the estimates we received, Hamblet’s offered the best guarantee. I would recommend Hamblet’s Roofing Siding Windows & Doors to anyone looking for a top-quality roofing contractor. 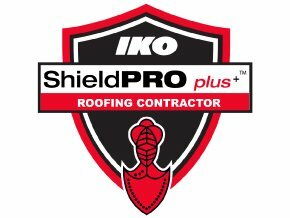 My compliments to your roofing team. They did an excellent job on my mother’s roof. In fact, they completed work that went beyond the call of duty. While it was drizzling outside they continued to work on the renovation. The rain finally stopped and they finished the project in one day. Also, the foreman was very knowledgeable about the renovation industry and was pleasant and professional, as was the entire Hamblet’s roofing team.